Brazil is the largest country in South America; it borders all the other South American countries except for Ecuador and Chile. 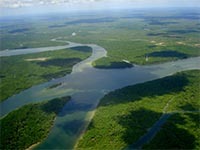 Brazil boasts of the greatest wilderness patch on earth - the Amazon rainforest. Wading through the water of the Amazon, discovering mysterious wildlife and spotting wilderness that is not seen anywhere are just some of the top things to do in Brazil. Playing host to howler monkeys, caimans, pink and grey river dolphins and three toed sloths, among other exotic wildlife, Brazil is certainly a nature lover’s paradise. 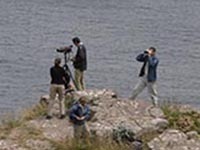 Birding enthusiasts will be delighted with the chance of spotting exotic birds such as toucans, hyacinth macaws, jabiru storks and great black hawks in the Pantanal region. Besides sporting spectacular wildlife, Brazil delightfully pleases visitors with lavish beaches of Bahia, the majestic Iguassu Falls, and the boisterous Rio Carnival, leaving them eager to return!